All the things you need to do to get acceptance from the building inspector. Here is a list of what you will likely need to submit to your local building department such that they will feel happy with your design and approve it. 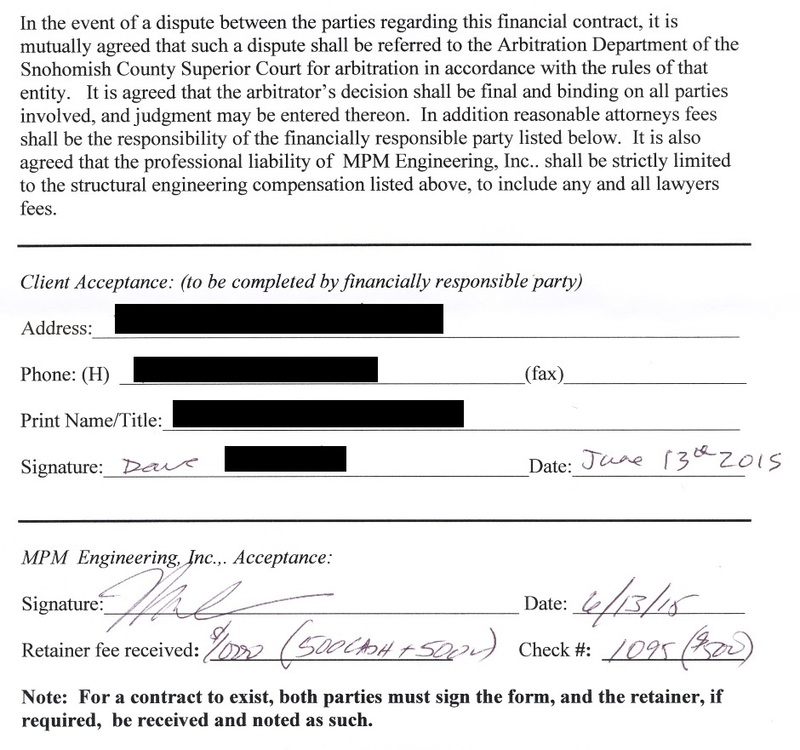 1) Calculation sheets done by a licensed structural engineer (Stamped and signed). 2) CAD drawings of the structure at different cross sections including detail drawings that apply at different cross sections (Stamped and signed by the licensed structural engineer). 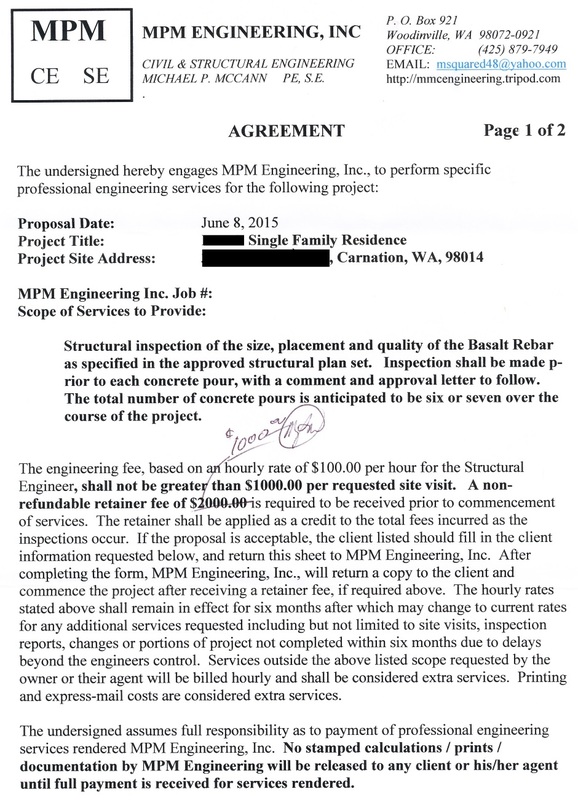 3) An signed agreement with the licensed structural engineer to employ his services as the official "Engineer Of Record" (EOR) throughout the project, to include special inspections prior to each concrete pour. 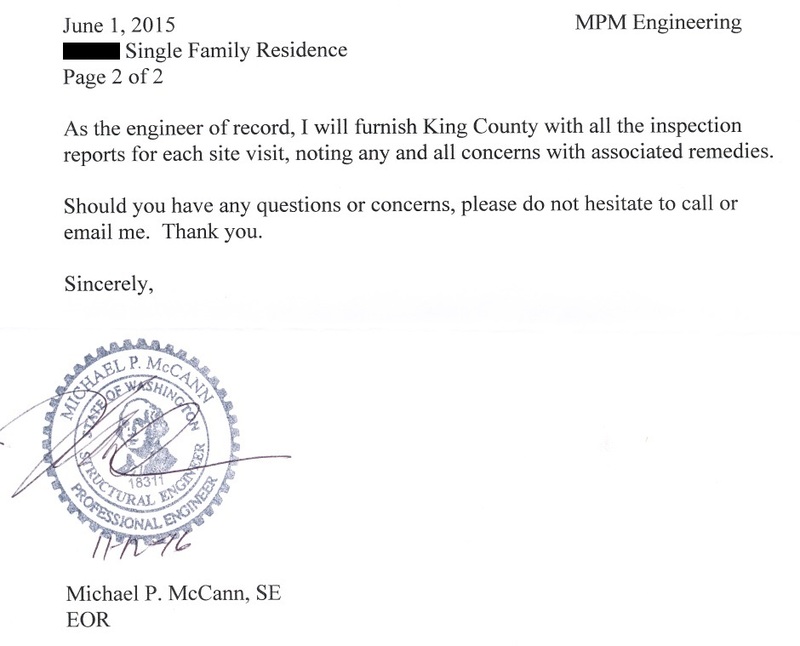 4) A letter from the licensed structural engineer to confirm the use of any controversial building materials eg Basalt Rebar (Stamped and signed). 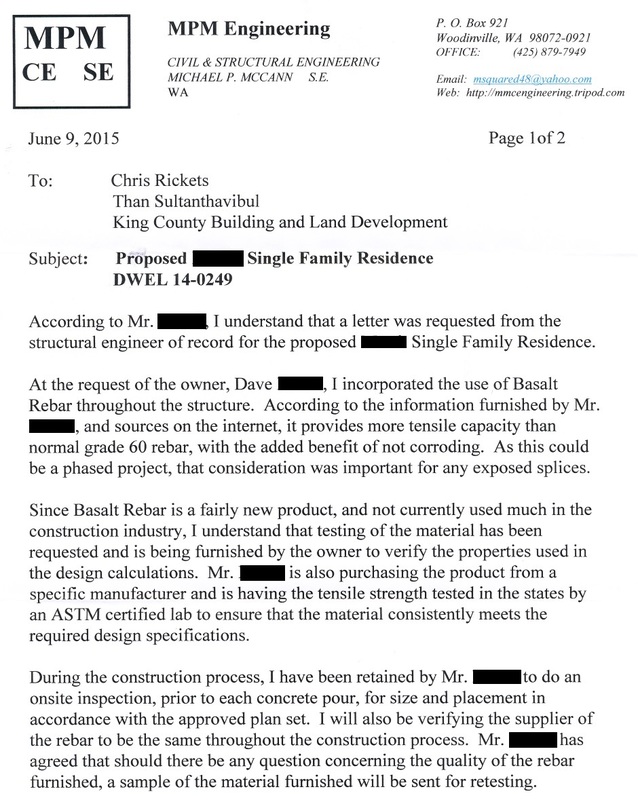 5) A test report from an ASTM accredited test lab for any controversial building materials eg Basalt Rebar.